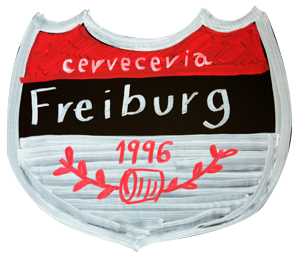 The beginnings of the Freiburg date back to 1996 in the bustling market of Collblanc in Hospitalet de Llobregat. 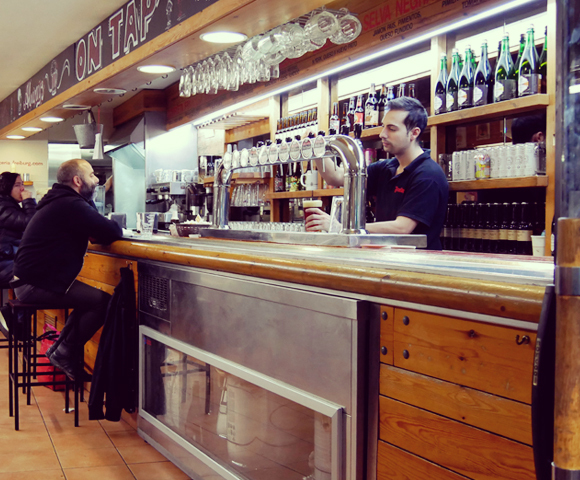 This little fast food place was a great successs with guests enjoying the best sandwiches with all types of suasages and an outstanding range of beers. New pork feet burger, with caramelized onions and whiskey sauce. Come and enjoy it with your friends. Follow the latest news in our . 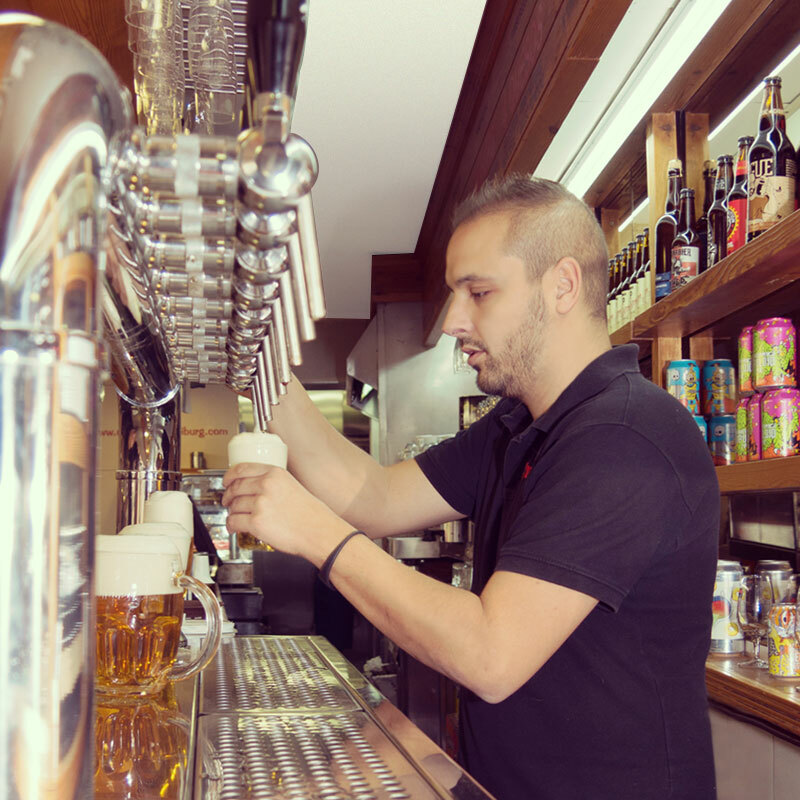 From the classic German, Czech or British ales, to the most innovative concepts from Belgium, Holland or France. 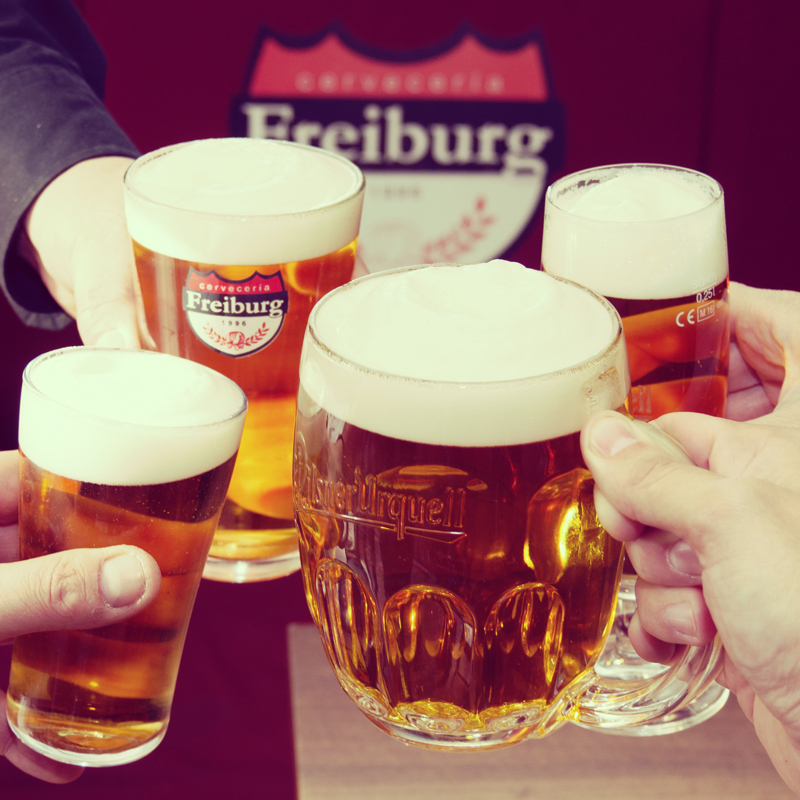 The most authentic: Discover our American beers with strong personality. We have a wide range of sausages and meat specialties. 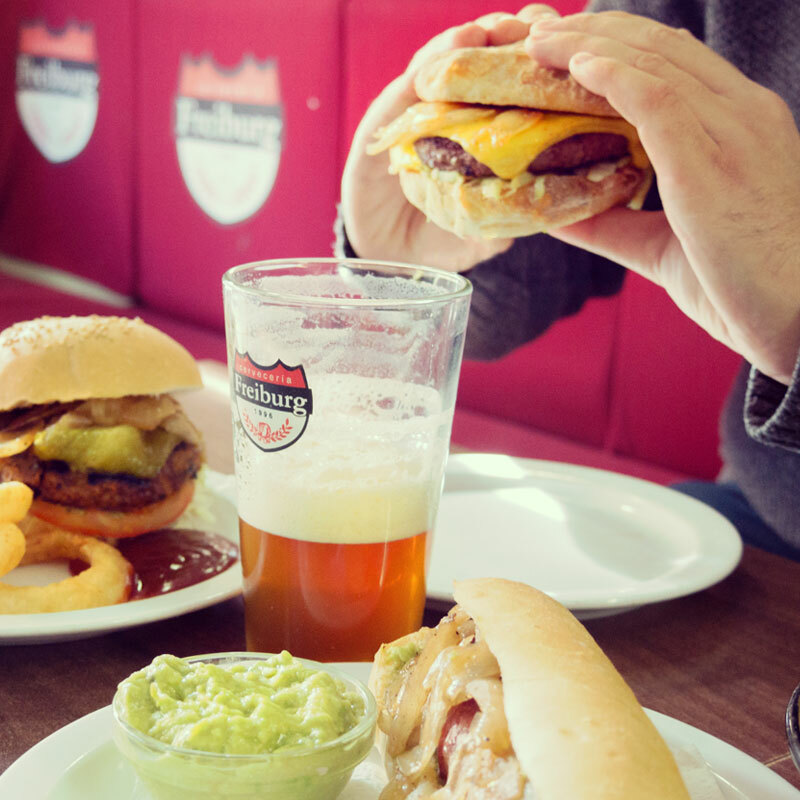 The highlight of the house: our burgers.